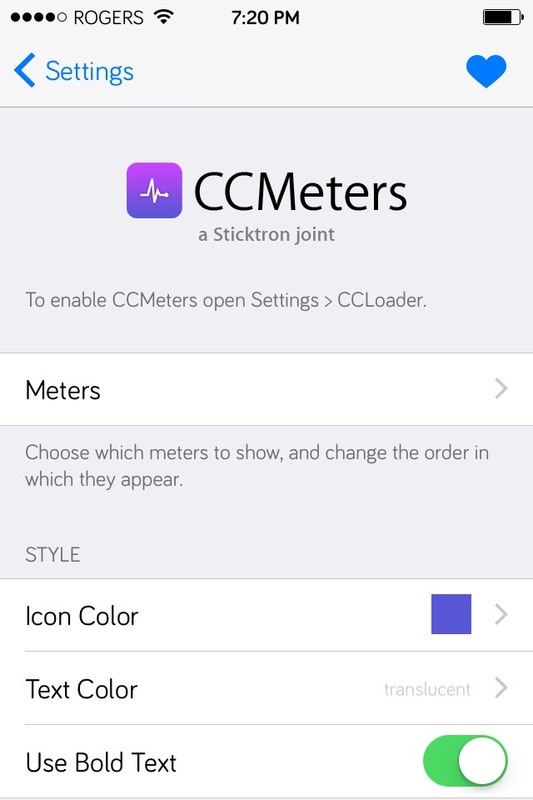 CCMeters is a lightweight system information widget for the Control Center. 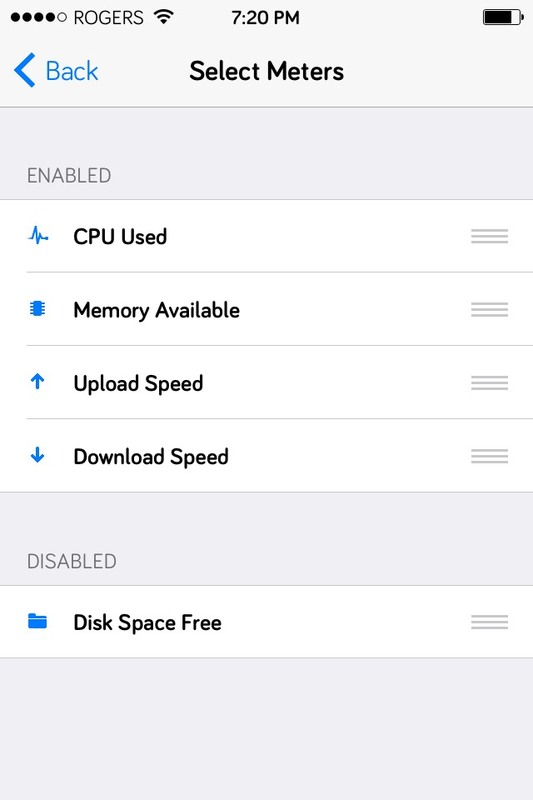 Find out your how busy your CPU is, how much memory and storage are available, and see how fast your uploads and downloads are going. 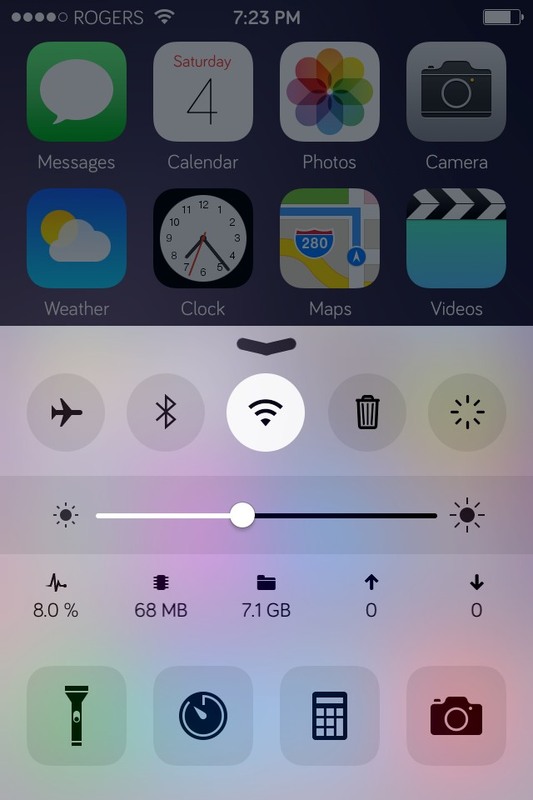 The meters run only while the Control Center is open, so no resources are wasted while the widget is not in use. Data values are collected using the same mechanisms as command line tools like top and netstat for accurate results. 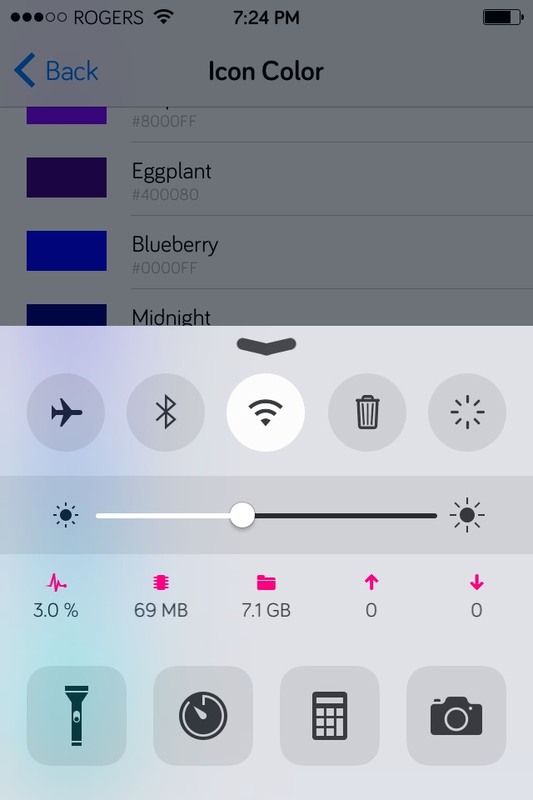 Meters are customizable: change icon and value colors, hide ones you don't want to use, and rearrange them if you don't like the default order. Requires CCLoader to be installed. iPads are not fully supported by CCLoader at this time.